The University of Manitoba is a public university. It is a research-intensive post-secondary educational institution. Founded in 1877, it was Western Canada’s first university. The University of Manitoba has three main locations: the Bannatyne Campus, the Fort Garry Campus and the William Norrie Centre. The University of Manitoba is a non-denominational university, founded by Alexander Morris, that received a charter on February 28, 1877. It officially opened on June 20, 1877 to confer degrees on students graduating from its three founding colleges: St. Boniface College (Roman Catholic/Francophone), St John's College (Anglican) and Manitoba College (Presbyterian). 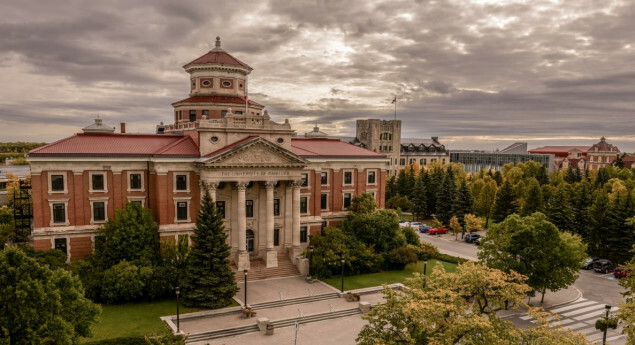 The University of Manitoba granted its first degrees in 1880. The University was the first to be established in western Canada. Now there are thirty three buildings being used for teaching at the Fort Garry Campus. The university has an enrolment of approximately 27,000 students - 24,000 undergraduate and 3,000 graduate. The university offers more than 90 degrees, more than 60 at the undergraduate level. Most academic units offer graduate studies programs leading to master’s or doctoral degrees. 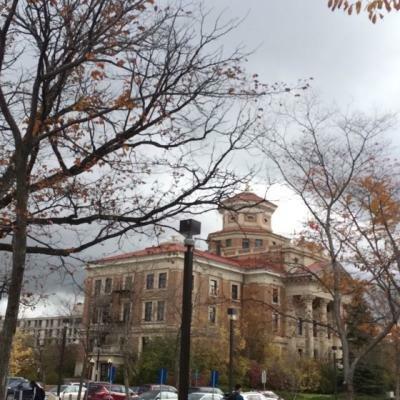 I'm a first-year direct entry science student, and I love my school. The campus is absolutely beautiful, and it's such a friendly place to be. 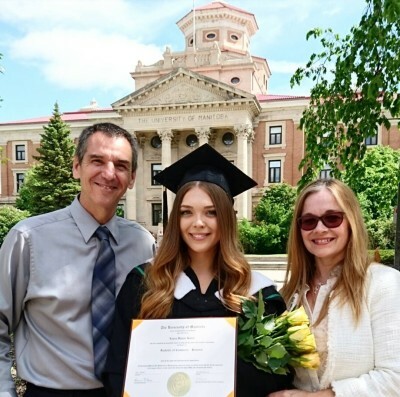 My daughter graduated from U of M with honours from Asper Business. Proud moment.